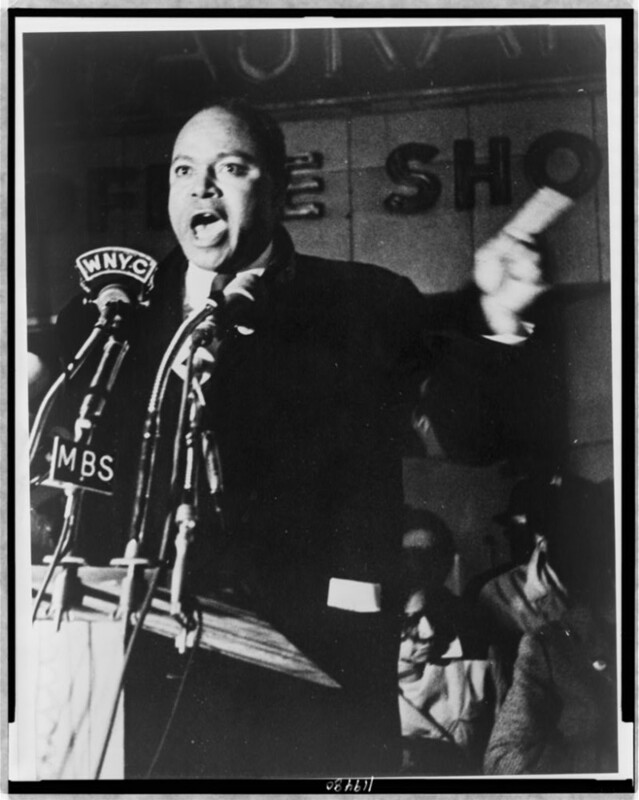 James Leonard Farmer Jr. was a civil rights activist and leader in the American Civil Rights Movement. 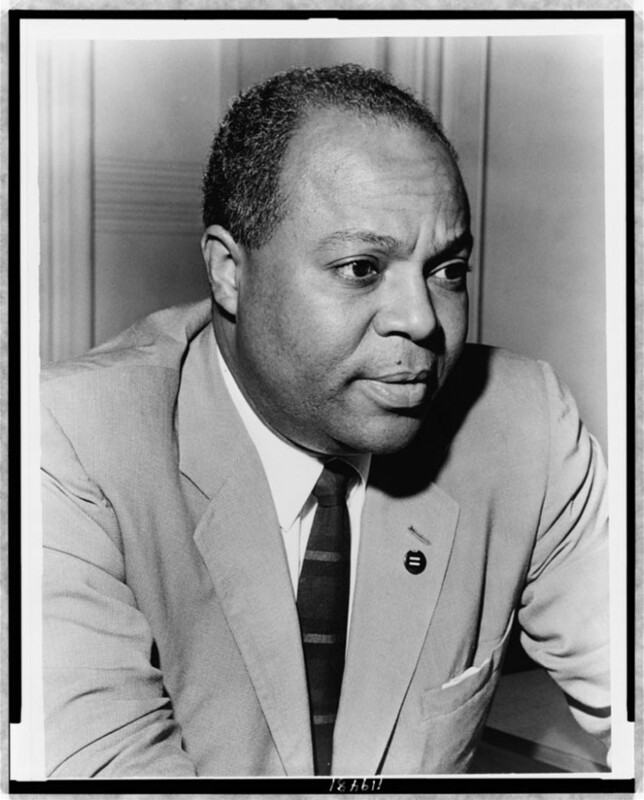 He pushed for nonviolent protest against segregation alongside Martin Luther King Jr.
Civil rights leader James Farmer was born in Marshall, Texas, in 1920. 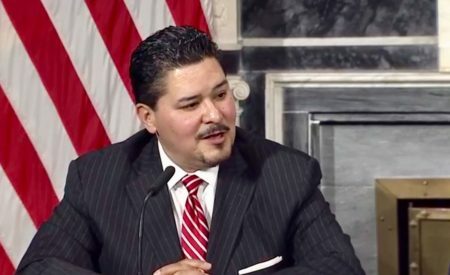 He spent his childhood in Austin but returned to Marshall to attend Wiley College, where he joined the team of “great debaters” coached by legendary teacher Melvin Tolson. Though Farmer had intended become a Methodist minister, Tolson’s influence—and segregation within the church—led him to activism. In 1942, Farmer organized the Congress of Racial Equality in Chicago. A decade before the civil rights movement made headlines, CORE followed Gandhian principles of nonviolent direct action, to fight racial discrimination in local businesses. In 1961, CORE organized the Freedom Rides to desegregate bus travel. Farmer and twelve other activists, both black and white, faced violence and jail time as they rode from Washington, D.C., to New Orleans. The Freedom Rides and the violence that erupted in response captured national attention. Blacks across the nation joined the civil rights struggle, as did whites in America and abroad. Within months, Attorney General Robert Kennedy issued an order banning segregation in interstate travel. Farmer later described the Freedom Rides as his “proudest achievement.” CORE had pioneered the tactics that eventually dismantled segregation in the South. Farmer retired from CORE in 1966 and turned to government service and teaching. In 1998, the year before his death, he received the Presidential Medal of Freedom, the nation’s highest civilian honor. For More about James L. Farmer Jr. The Dolph Briscoe Center for American History at The University of Texas at Austin holds the collected papers of Farmer and his wife Lula. These rich archival collections detail Farmer’s activities in CORE from the 1940s to the 1960s, as well as documenting his time in government. Farmer’s father, James Farmer Sr., was a prominent theologian who taught at institutions across the South. From 1925 to 1930, he taught at Samuel Huston College in Austin. Now Huston-Tillotson University, this historically African American institution sits at the center of the vibrant East Austin neighborhoods that Farmer called his childhood home. Indeed, a historical marker now adorns the house at 1604 New York Avenue where Farmer grew up. Farmer describes the place fondly in his 1985 autobiography Lay Bare the Heart. Farmer spent two periods of his life in the vicinity of Wiley College, one of the oldest historically African American colleges west of the Mississippi. Both times, he was drawn to Wiley because his father was a professor there. Today, a historical marker stands outside the Thomas Winston Cole Library commemorating James Farmer Sr. for his contributions to African American life and letters. 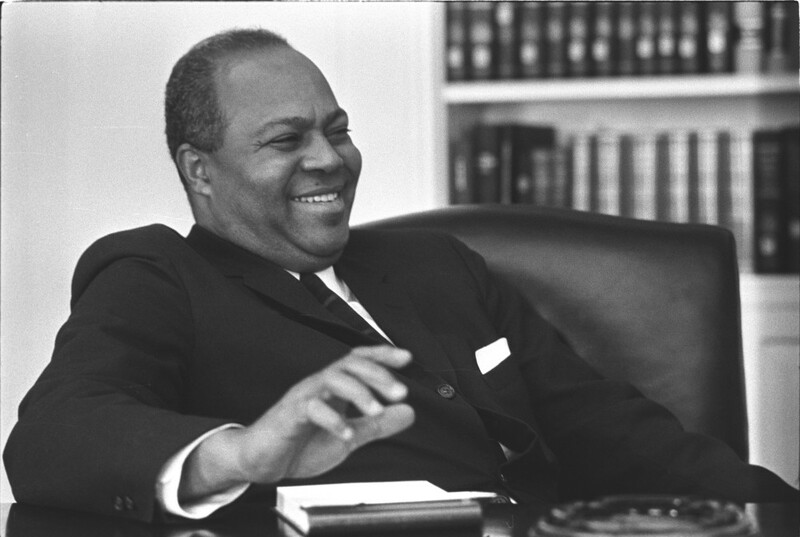 James Farmer during a Civil Rights Meeting in the Cabinet Room of the White House. Dittmer, John. 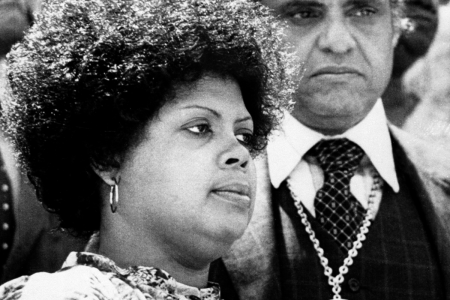 Local People: The Struggle for Civil Rights in Mississippi. Urbana: University of Illinois Press, 1995. Farmer, James L. Lay Bare the Heart: An Autobiography of the Civil Rights Movement. Fort Worth: Texas Christian University Press, 1998 . Meier, August and Elliott Rudwick. CORE: A Study in the Civil Rights Movement, 1942–1968. New York: Oxford UP, 1973. Sitkoff, Harvard. The Struggle for Black Equality. New York: Hill and Wang, 1992.